You can feel it but you can’t tough it. You can see it (happen) but you can grasp it. What do we love? 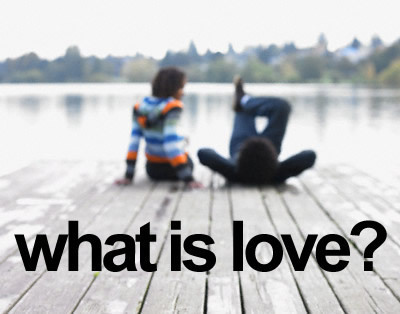 How do we love? Their are so many kinds of love : The love you have for your siblings , friends, parents , spouse , boyrfiend , girlfriend , husband , wife. The love for music , dancing , singing , painting , working , helping , sharing , our passion. The love you have for the beaurty of the world, the planet , earth , nature , life .. It gives us a warm feeling from inside , deep down in our body , mind , spirit and soul!Love is endless ,love is pure , love is real , we all adore …. Love is to bare and to share or show someone how much you care.Their is a thin line between love and hate but which one wouldyou rather create ?What is love? Love is so many things… Love at first sight. Falling in love. Being loved. Feeling love. Sharing love. Tough love.It’s everywhere.We just need to cherrish the moment. Because without it , we would be nowhere. Let’s start healing the world! Don’t worry about who talk about you behind your back , they are behind you for a reason! What should be your drive? It’s not easy having eople judge your dreams and your life goals. But that should give you more power and drve to prove those people wrong.Anything you might want to achieve in life isn’t impossible. It’s dediction and drive. Sometimes people might knock you down or even reach their goals more faster than you have. But you know the saying : the last shall be the first. Yep that could be your fit.The longer you word towards your succes , the longer it will last. So don’t mind if your goals aren’t achieved easily. Don’t let it be a easy go easy come.You might need to work a little harder but at the end it will be worth it. So keep keepin on. Eveyone has his own battle to fight. So you better fight your battle and win it !! As an African-American woman, she has always been aware of racism and prejudice, small instances as opposed to disheartening big ones. From a young age she knew how it felt to be treated differently because of the color of your skin. Luckily, she lived in neighborhoods where her neighbors were of all different cultures, so she never experienced outright racism. So when it was time for her to go to college, she was excited to move out of her house and be on her own. She was ready to take on the world and be enlightened as college was supposed to be full of liberal and open-minded people. She was ready to be around people who she could learn from and share experiences with. When she got to college, like many who go to a majority of large or public universities, she was the only black girl in almost all of her classes. This never bothered her because she’s really not the kind of person who needs to be around black people to feel comfortable. To her surprise, her being black seemed to make her classmates somewhat uncomfortable and shut off. She came into all her classes with a smile on her face, ready to make friends. What she found was that her smiles were not returned and instead, she was given the cold shoulder. She was pretty much invisible. Most students in her classes never talked to her, and when they were forced to have interactions, you could tell that it was just that, forced. She always had to make the first move and speak to them first. Her classmates were always surprised by her responses in class. They were always shocked when they saw that her grades on tests were higher than theirs. It was clear that they made assumptions about her based on the color of her skin. She’s not sure exactly what these assumptions were based on though. Maybe they were used to seeing black women in a non-academic setting. Maybe they thought that as a black woman she was supposed to fit the stereotype they saw on TV. Maybe they assumed that she wasn’t smart enough to be where they were. Because she never spoke to them about their qualms, this question remains unanswered. The eyes of disapproval never changed how she felt about herself though. Throughout college she had numerous friends of different races and continued to stay open-minded. Her experiences in class did not dictate the rest of her college experience, and she was not jaded by the fact that people who were not black may have looked at her differently because she knew who she was as a person. She refused to walk around with a chip on her shoulder because she knew what she represented. She can’t be the spokesperson for the entire race and do the absolute most to get any and everyone’s approval and admiration, but instead, she can only be her. She just wish that she could have educated or enlightened some of her classmates who preferred to stay with their own people and who went out of their way to NOT give her a chance. What Does It Mean To Be Truly Human?